The Best Books that Boys Will Love in Their Easter Baskets! Easter is a just a hop around the corner. 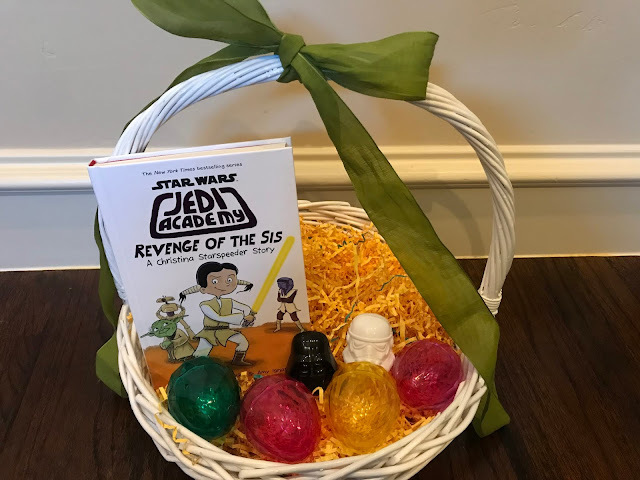 We always include books in our children's Easter baskets. In today's post, I'll share tried-and-true book recommendations that our 3rd grade son personally read and raved about. These cover all of the coveted book topics for boys, including LEGO the Movie, Star Wars, Pokemon, Fiesty Pets, and top video games. All of the books are from our favorite publisher - Scholastic. We'll also tell you about our Easter tradition to donate lightly used books to Little Free Libraries in our town. The first round of books focus on The LEGO Movie. This movie was just released in February and is still quite popular. My loves this movie, so I was excited to find books that he would read from cover-to-cover with enthusiasm. 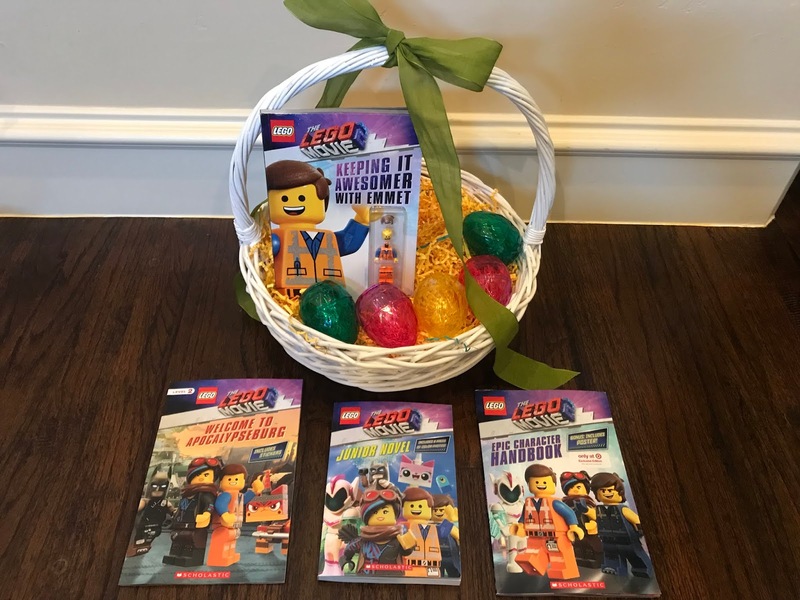 There are four that he loved that we recommend: The LEGO Movie: Keeping it Awesomer with Emmet, The LEGO Movie: Welcome to Apocolypsburg, The LEGO Movie 2: Junior Novel, and The LEGO Movie: Epic Character Handbook. The first book that I mentioned comes with a LEGO Mini Figure of Emmet. All of the books are engaging and fun for junior readers! My son is obsessed with video games. We recently visited the National Video Game museum and he loved it. 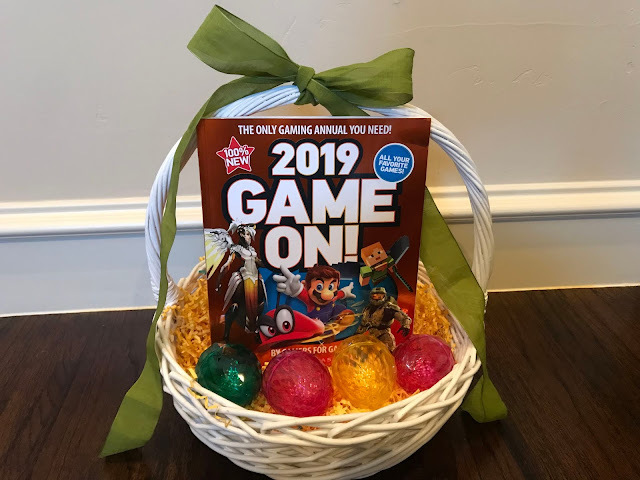 The 2019 Game On! book was the perfect follow-up book. He learned a lot about video games at the museum and then added to his knowledge with this book. It seems like the ultimate book for little boys! If you have a little boy, I'm sure that Pokemon is a big part of your world. There are a few books that our son loves and has read multiple times. 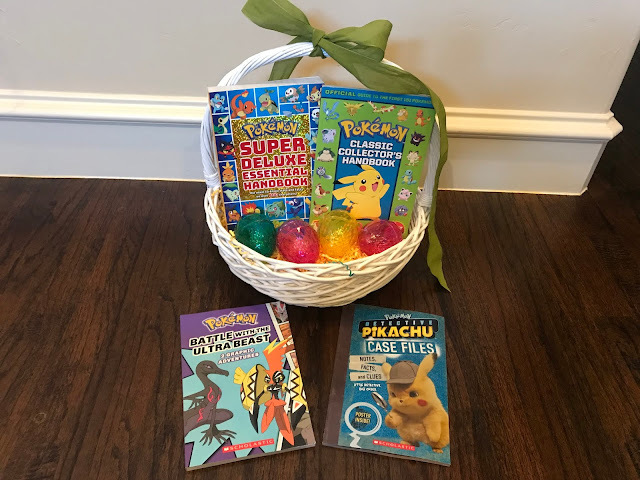 The Pokemon Super Deluxe Essential Handbook and the Pokemon Classic Collector's Handbook contain a lot of information about the characters and game. My son often quotes things from these books which is a sign that he loves them. The Pokemon: Battle with the Ultra Beast book is a fantastic junior novel. The Pokemon: Detective Pikachu Case Files is great because it makes readers think on their own about clues. Both of these books kept him up late at night because he couldn't put them down. It's really sweet to see him enjoy books so much! You'll never go wrong with a New York Times bestselling book from the Star Wars Jedi Academy series! My son recently read a book from this series - Jedi Academy #7: Revenge of the Sis. My husband reads to our son every evening as part of his bedtime routine before giving him time to read to himself. They read this book together over the course of a week and really enjoyed it. All of the books in Scholastic's Star Wars Jedi Academy collection are engaging and imaginative. This latest release is great for young readers! Finally, when my children receive new books, we donate their lightly used books to Little Free Libraries. There are actually a few in our area, so we plan to spend some time restocking the ones near our house. It's a fun tradition for our family! In today's post, we'll share a roundup of trendy Easter treats that make the holiday extra special. We chose products that we personally love to share with family and friends. Edoughble is a fun and unique treat for Easter. 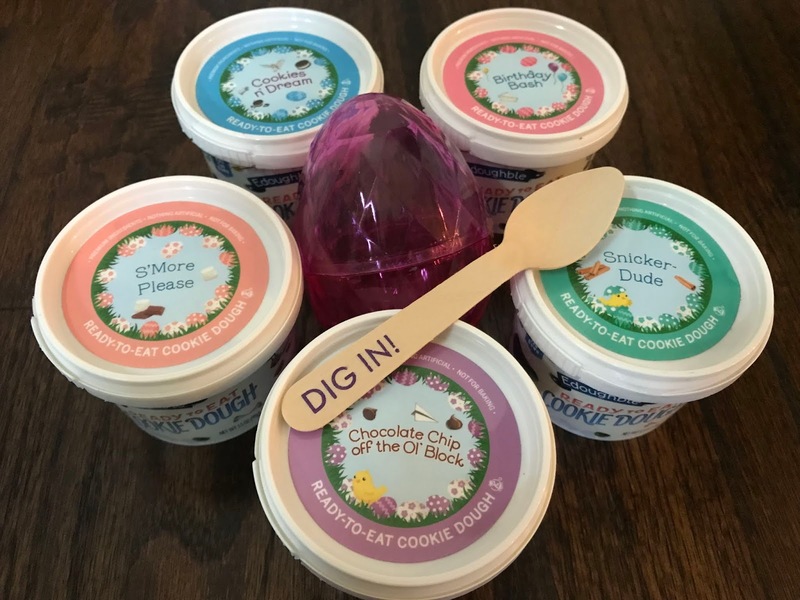 This edible cookie dough was created by a mom who is also educated by Le Cordon Bleu. Could you imagine if your mom was a trained pastry chef from a top culinary institute? Her children are very fortunate! In the meantime, the rest of us may sample her fabulous creations of Edoughble cookie dough! Edoughble uses no egg, no chemical leaveners, and heat-treated flour to ensure their product is 100% safe. Edoughble comes in 19 fabulous varieties, but we recommend trying the Easter Gift Box to get started. It contains 5 - 3.5oz cups of cookie dough including: Chocolate Chip off the Ol' Block, Birthday Bash, Cookies n' Dream, S'more Please, and Snicker-Dude. SweeTARTS offers fun products that are available around Easter. We love the SweetTARTS Ropes. You may eat them straight from the box or use them to add decorative touches to other desserts. 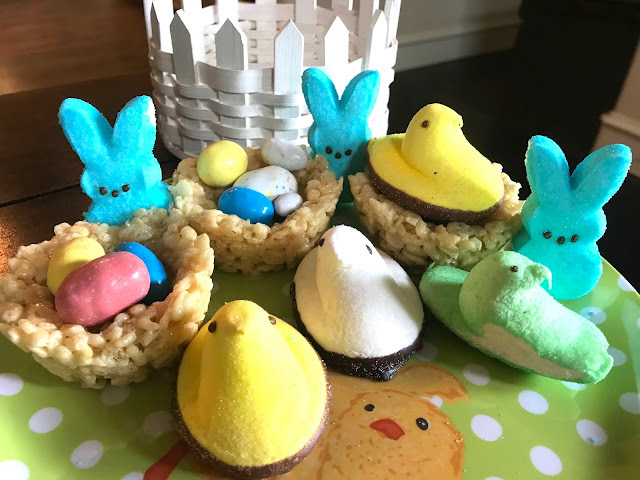 For instance, if you scroll down to our recipe for Rice Krispy Bird Nests, you may modify the recipe by using the SweetTARTS Ropes for decorative handles. 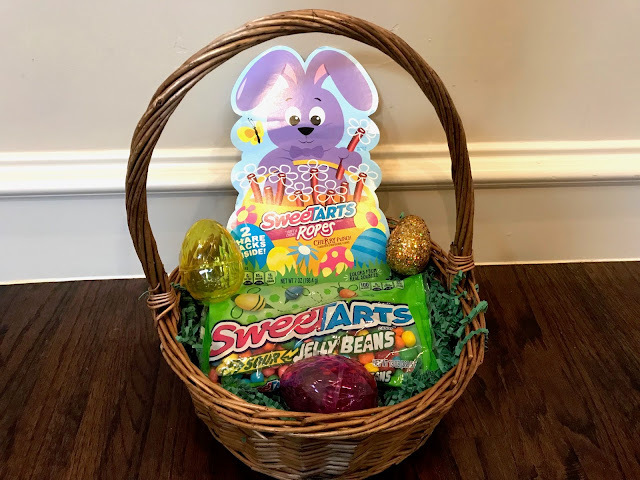 There are also SweetTARTS Jelly Beans this year. These are my son's favorite Easter treat! You may add them to plastic Easter eggs, pour them into a bowl, or use them to embellish Easter themed recipes! Easter is all about jelly beans, so we actually like to include a variety at our house for guests. 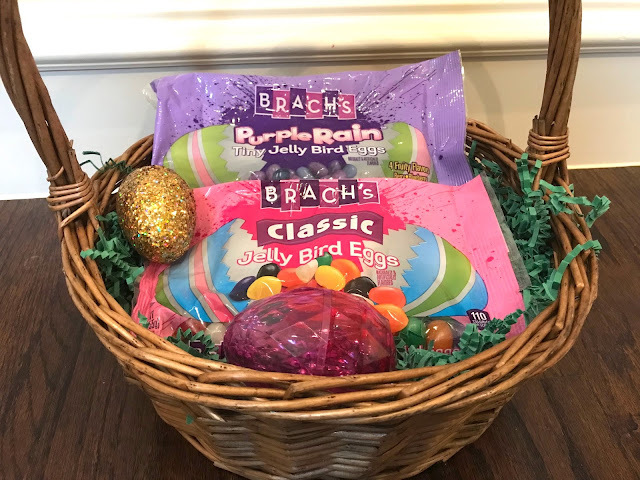 Brachs has their iconic Jelly Bird Eggs. They also have a variety that I am obsessed with - the Purple Rain Tiny Jelly Bird Eggs. These are perfect fillers for plastic Easter eggs. We also pour them into bowls for our Easter guests. 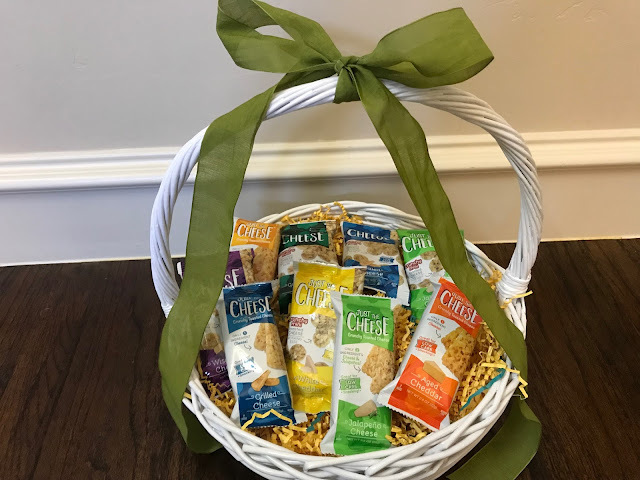 Just the Cheese offers trendy snacks that are made from purely delicious cheese. They offer Baked Cheese Bars and Cheese Minis. These are great for Easter baskets or to share with guests. If you have extra time to make Easter treats, we love our recipe for Rice Krispy Bird Nests. Add Marshmallow Peeps for fun decor. Easter also wouldn't be complete without hard boiled eggs. Try our recipe for hard boiled eggs! 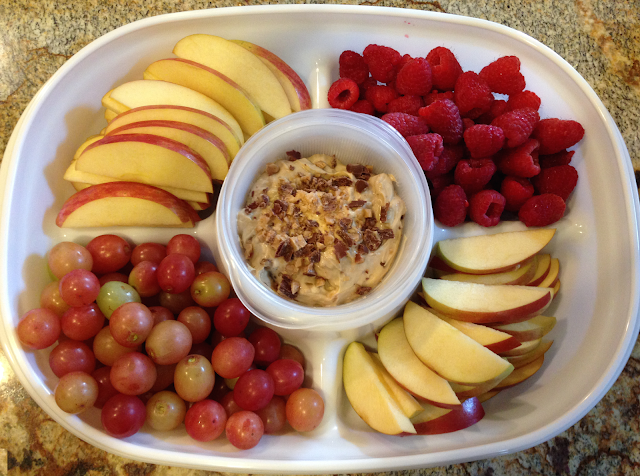 Finally, our Toffee Dip Recipe for Fruit is always a hit on Easter! We hope that you have a Happy Easter! In today's post, I'll share an Easter hack that I recently learned - Oriental Trading makes it easy to create fun Easter baskets filled with toys for just $5/each. How does this Easter hack work? Let me share the details because it's super easy! 1. 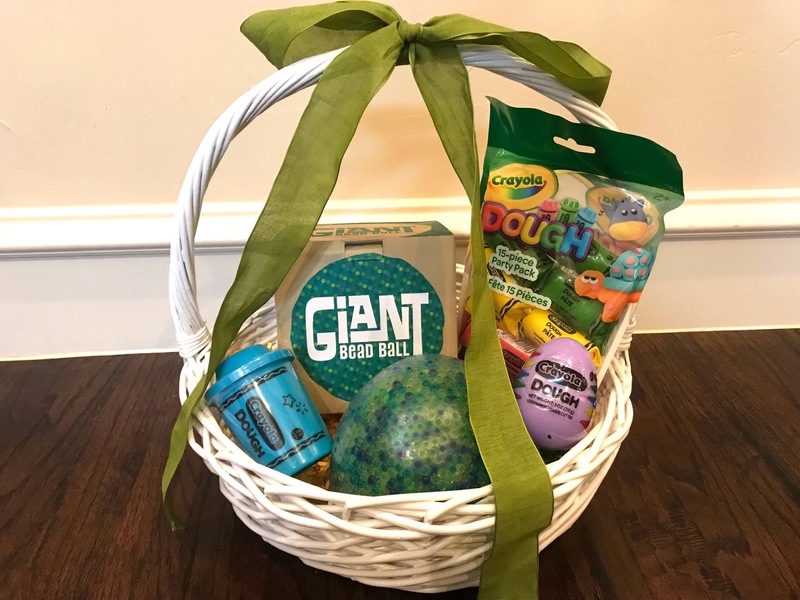 Optional: If you want to include Easter Grass, start by adding it to each basket. 2. 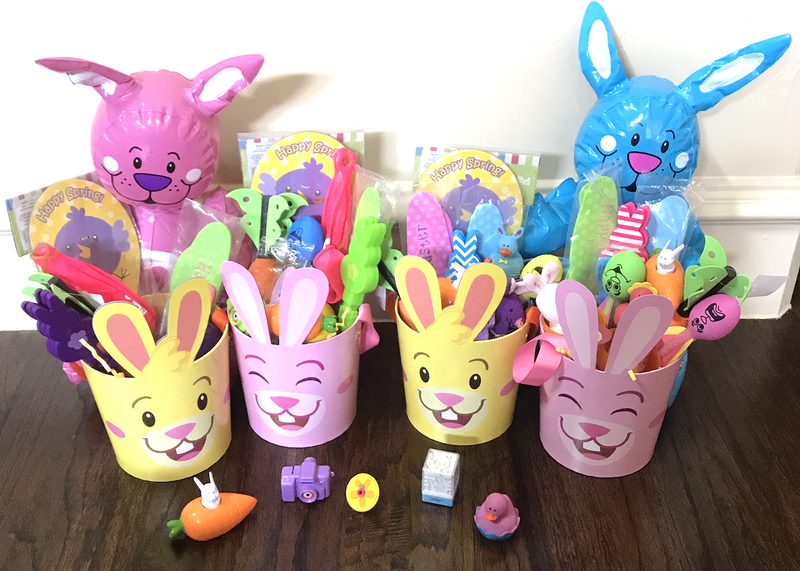 Distribute the Easter Basket Filler Assortment among the four baskets. It's really that easy and inexpensive! If you have a class party, this project is great because the baskets are adorable and rather inexpensive. This is also a great project if you want to donate baskets and and are able to stretch your money such that the supplies for each basket are only around $5/each. I love Oriental Trading. They are my go-to store for class party supplies throughout the year. I also love them for birthday party supplies since they make it easy and inexpensive to stock up on themed supplies. If you haven't stocked up on Easter supplies yet, hop on over to Oriental Trading! They have a fabulous Easter sale with deals of up to 60% off! 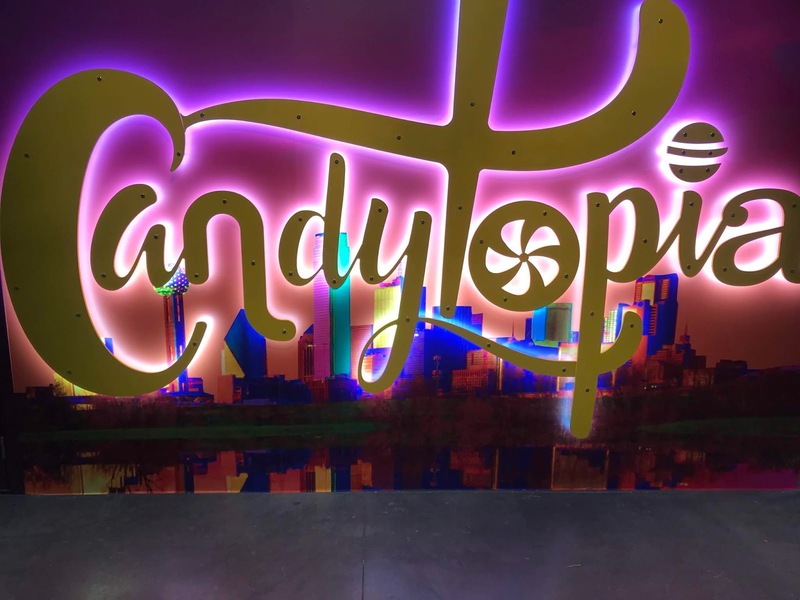 The Black Forest Gummy Bears Popup Event at Candytopia in Dallas! Candytopia recently opened in Dallas last week. This is the ultimate opportunity to create happy childhood memories. (Honestly, it's fabulous for adults too!) 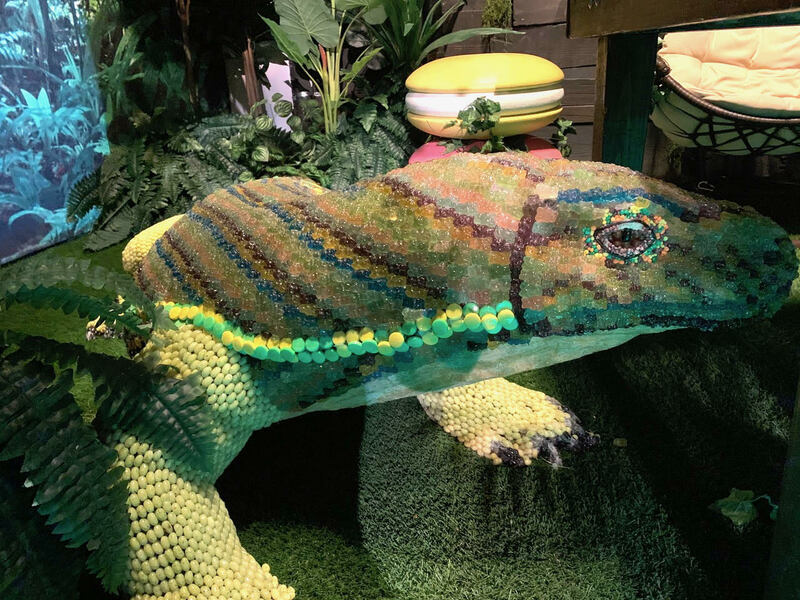 If you have whimsical memories from watching Willy Wonka and the Chocolate Factory, the real life Candytopia experience takes things to a new level. In today's post, I'll tell you about the trendy Black Forest Gummy Bears Popup Event that we visited! Let's start by sharing that Black Forest Gummy Bears stand apart from the crowd thanks to their ingredients! 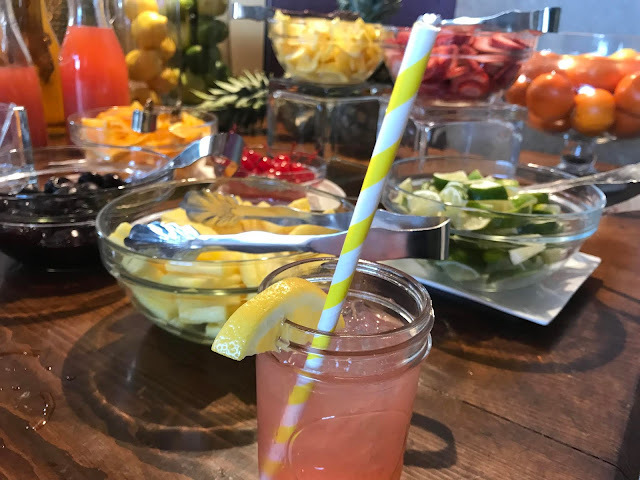 The popup event served real fruit juice that went along with the fact that Black Forest Gummy Bears contain real fruit juice. After picking up our juice, we entered the Black Forest Gummy Bear area! 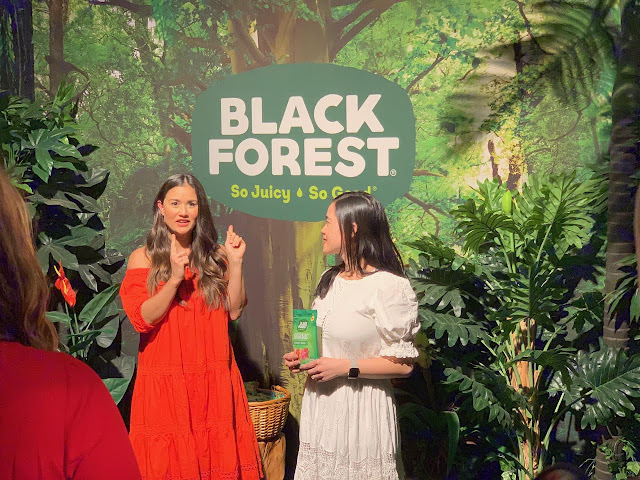 During the Black Forest Gummy Bears popup event, Catherine Lowe from the Bachelor spoke. I enjoyed learning about her love for Black Forest Gummy Bears. She shared how she used the gummy bears to help teach colors to her child. I followed up and did this with my 2-year old. It's such a fun idea! 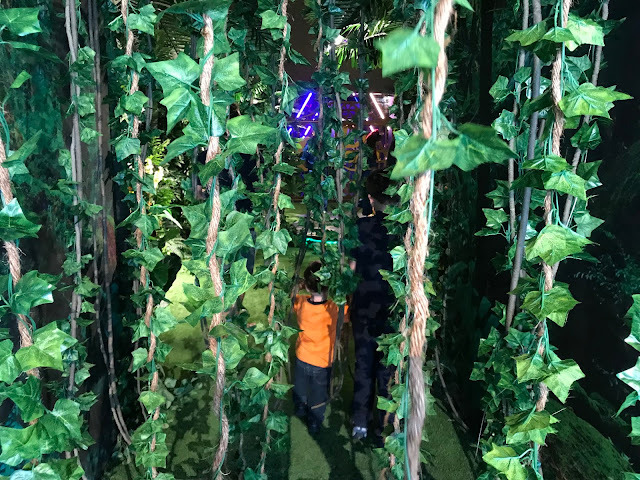 The Black Forest Gummy Bears room is the first of many at the Candytopia event. I'm dying to tell you more about the event, but I really don't want to spoil the surprises. I'll just have to settle for telling you that our entire family loved the event and that it created happy childhood memories for our little ones. It was a unique experience and my children are very animated when they talk about it because it was truly exciting and special. Visit Candytopia Dallas here. 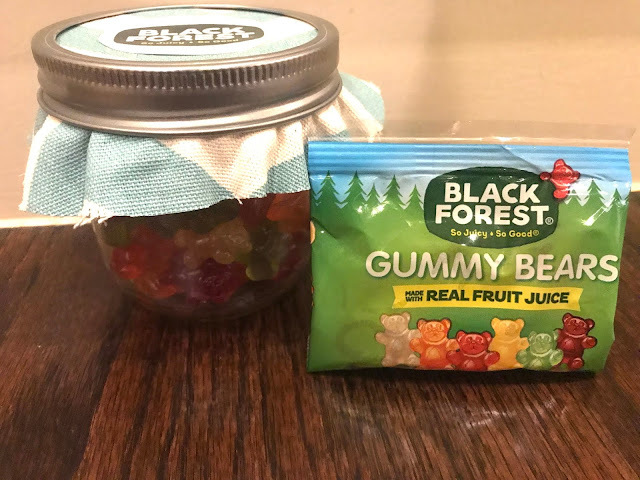 Visit Black Forest Gummy Bears here. Personally, my children love Yowie treats and we stock up on them for Easter. It's a favorite part of their childhood memories. If Yowie treats are new to you, here is an overview. Every chocolate is in the shape of one of the loveable Yowie characters: Rumble, Crag, Boof, Ditty, Squish and Nap. Yowie chocolate is a 100% natural chocolate treat with a collectible, life-like animal toy inside. Their treats are non-GMO, nut-free, and gluten-free. The toy also comes with a color leaflet that has a picture of the real life animal, its profile, and level of endangerment. Families are also able to download the free YowieScope app on the AppStore or Google Play. The app is awesome! It's interactive and even includes augmented reality. My son likes to scan his animal toys into his virtual collection. There are also digital rewards. It's really amazing that they packed so much into the app. There is also more fun on YowieWorld.com. 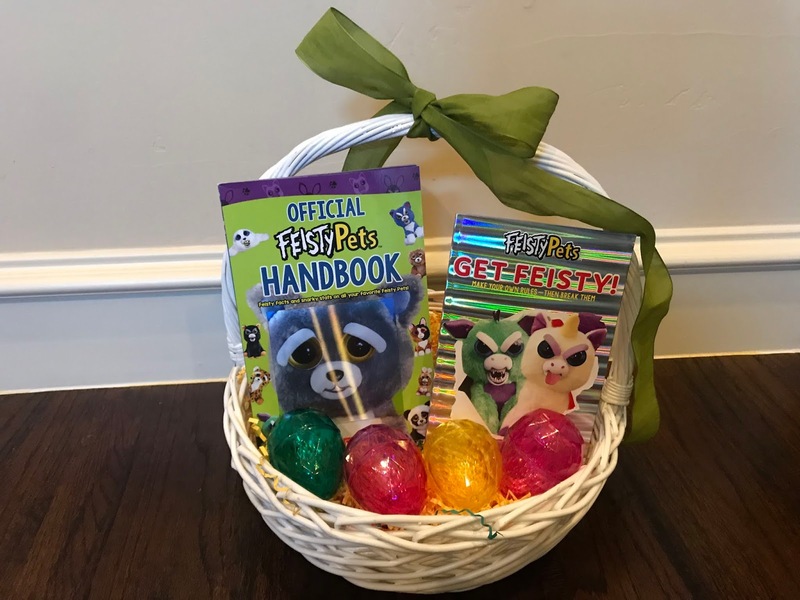 This makes it fun to teach your children about endangered wildlife, plus the Wildlife Conservation Society (WCS) will receive a portion of the net proceeds to support its mission to save wildlife and wild places worldwide. 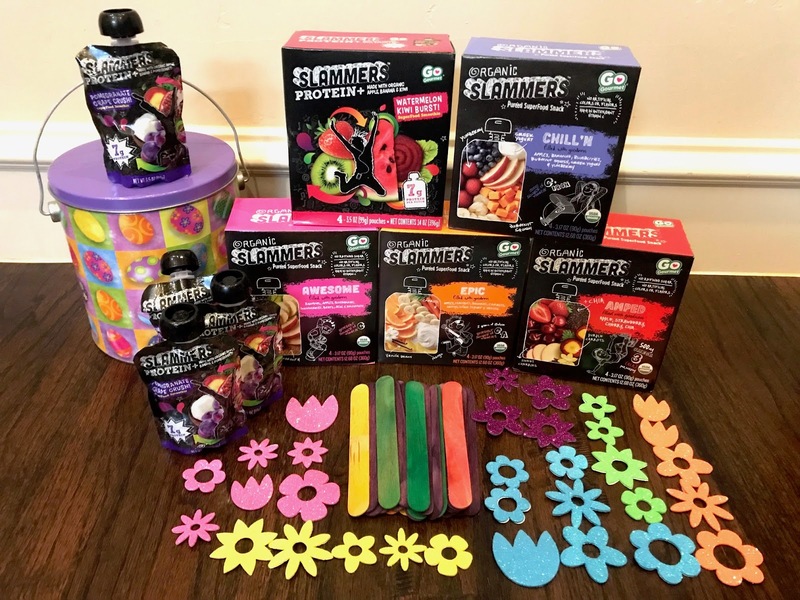 It's a win-win for our family because our children love their delicious and educational treats while we also support a good cause. 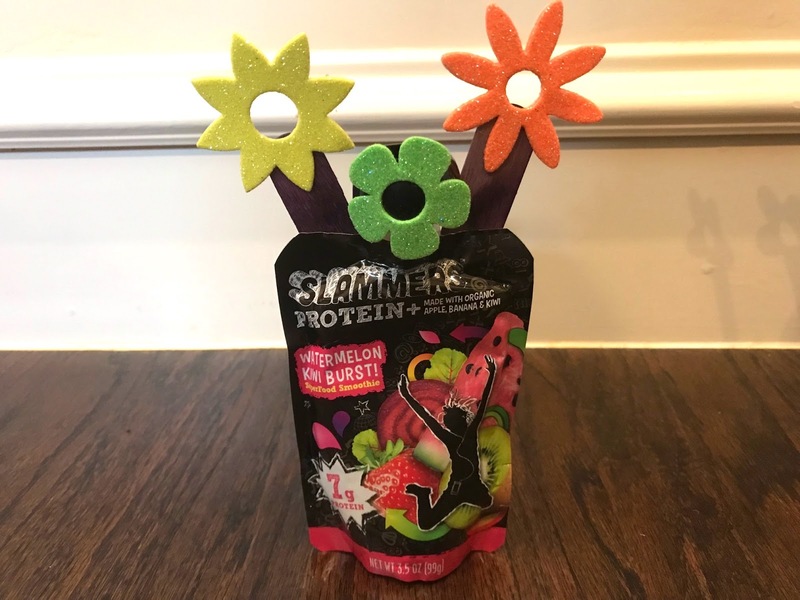 We hope that you are able to visit the Dallas Zoo this weekend with your family and pick up trendy and educational Yowie treats! In addition, I saw Yowie products at World Market when I was there earlier today. They are also available at Walmart and other stores. Visit here for a store locator. In today's post, I want to share a campaign that I am excited about because it combines two things that I love - the environment and one of my favorite brands that originated from here in Texas. Tree Hut has partnered with The Arbor Day Foundation to give back to nature with a #TreeHutxArborDay campaign! April 26th is Arbor Day, but Tree Hut will generously donate 10% of proceeds from orders through their website for the entire month of April 2019. Tree Hut is one of my favorite companies. They actually started their business here in Texas and are now a world-wide brand! The root of their business is that they strongly believe in natural ingredients to exfoliate, cleanse, nourish, soften, and protect skin. As a Texan mom, I buy Tree Hut products for my entire family. I often buy them at our local grocery store, but during the month of April, it's better to order them online since 10% of the proceeds go to The Arbor Day Foundation. Personally, I am obsessed with the Tree Hut Charcoal Detoxifying Body Wash. My skin is dry, so I appreciate that this body wash lathers into a creamy texture to gently detox my skin without stripping it of moisture. It's funny because this is my favorite product that I ordered for myself, but my family members noticed it in my shower and borrowed it because they were intrigued by the charcoal ingredient. My entire family is now obsessed with this body wash. As a Boy Mom, I'm happy to know that there is a body wash that they are excited to use. (I'm sure that many of you relate!) If you aren't into Charcoal, our second favorite body wash in the Tree Hut Shea Moisturizing Body Wash in Tropical Mango. Their salt scrubs, sugar scrubs, and other products are also fabulous! 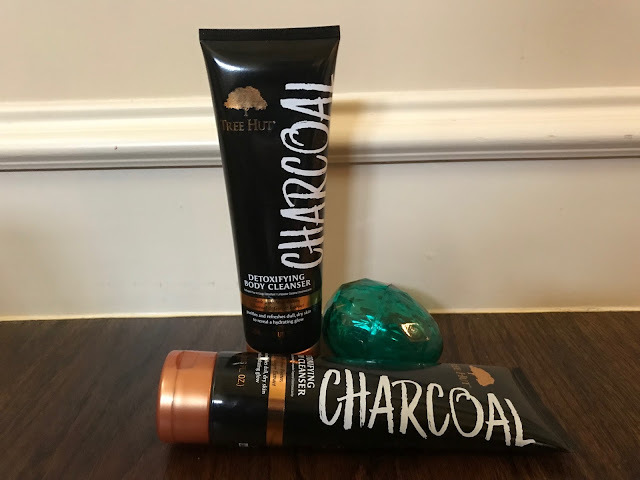 Please visit TreeHutShea.com to check out their trendy products, including my personal favorite - the Tree Hut Charcoal Detoxifying Body Wash, and support the Arbor Day Foundation. The foundation will put the funds toward their goal to hopefully plant 100 million trees by the year 2020! In today's post, I'll tell you about the family-friendly birthday celebration that we had for my husband at The Escape Game in Grapevine Mills Mall. Our boys wanted to do something special for his birthday and The Escape Game turned out the be the perfect way to celebrate! We enjoyed bonding as a family and created happy memories. Let's start with basics. What is an Escape Room? Is The Escape Game Family-Friendly? The Escape Game recommends that ages 14 and older are best, but they give some flexibility. Personally, we took our younger children and they had a blast under our close supervision. 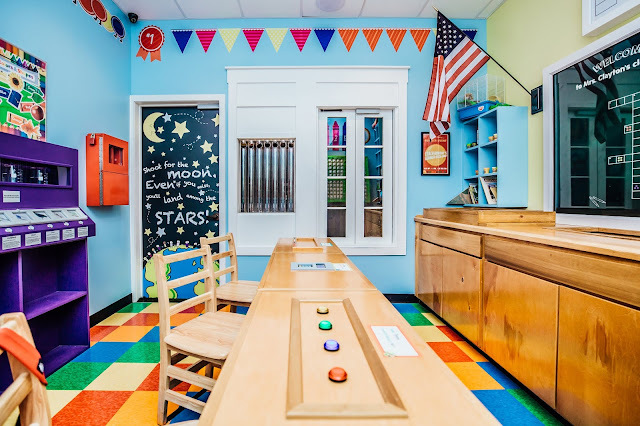 We chose a room with an easier skill level because we thought that it would be fun for our entire family -- and it certainly was fun for all of us! 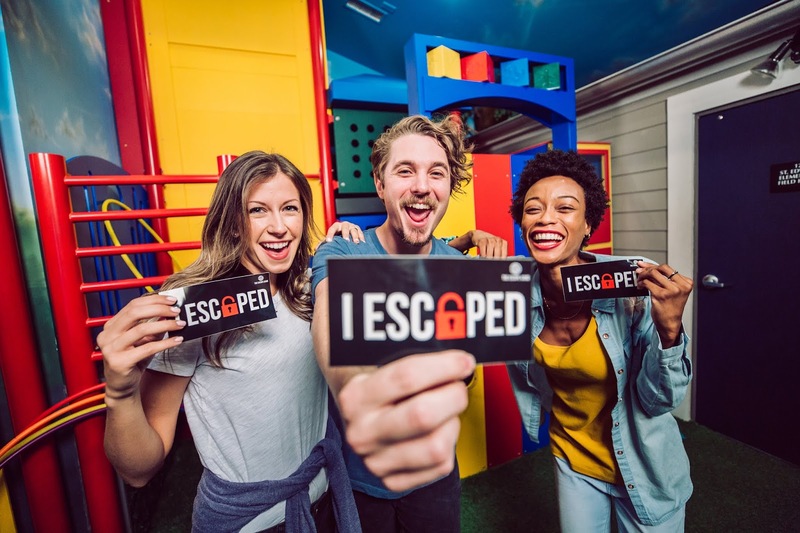 I won't spoil the fantastic surprises or share answers/hints, but the video shows that the designers of The Escape Game incorporated a lot of bright colors and fun features. Actually, my guess is that the design team is comprised of perfectionists because they really seemed to pay attention to even the smallest details in their design. The environment kept us moving at a good pace. Whenever we were stuck and requested a clue, they were very responsive and helped to keep us going on our mission. We had a lot of fun. It was also a learning experience because we realized that we had to think outside of the box in order to identify clues. We enjoyed thinking about the world in new ways. Another unique aspect of the experience is that our children usually look to us for answers. However, we didn't know the answers at The Escape Game, so we were all team members and everyone's ideas helped us to learn together. This provided a nice bonding experience! Is there anything that surprised us? Actually, yes, I was surprised by the amount of thought and detail that went into the experience. The designers are obviously very creative, but the attention to detail was surprising to me. I'm convinced that the design team members are perfectionists. The way that everything flowed to keep us engaged and curious was amazing. It seemed like they must have walked through the experience from beginning to end until it was absolutely perfect for customers. We felt engaged the entire time. When we were stuck, we pushed a button and they gave us new clues to keep us going. 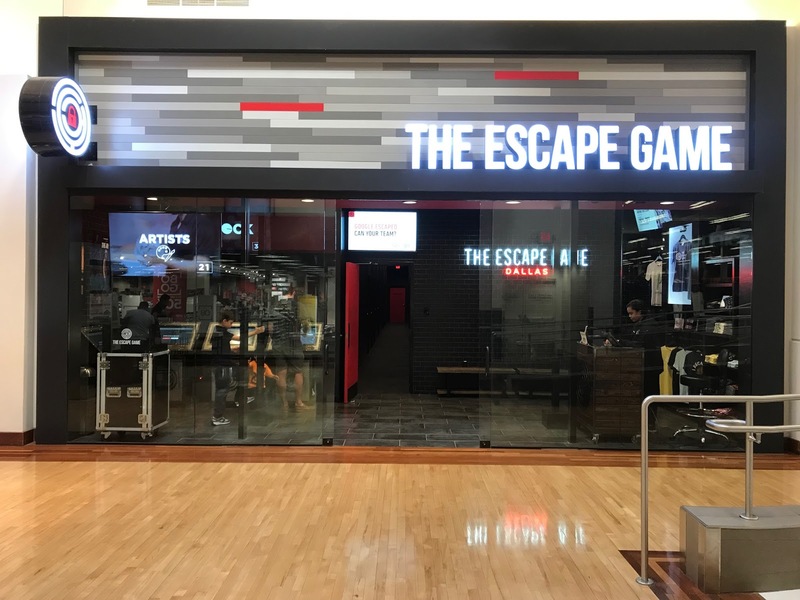 After our visit, it was easy for me to understand why so many people are obsessed with The Escape Game! We would absolutely visit again! In fact, my oldest son has already asked to visit again for his birthday. 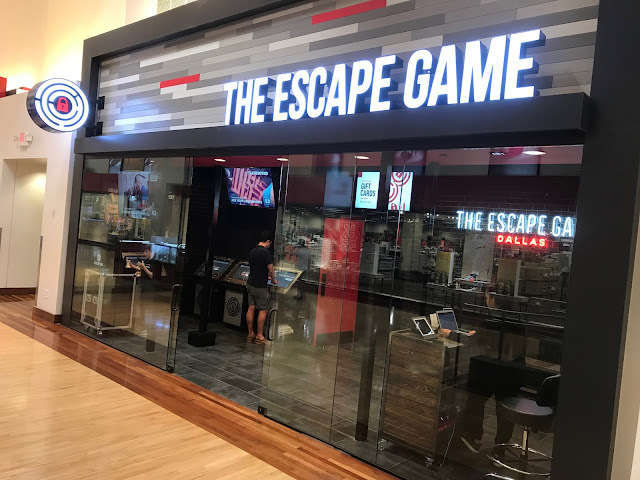 The Escape Game in Grapevine Mills mall is fantastic. It's a great way to celebrate birthdays and to bond as a family. I feel like my children are growing quickly, so it was nice to take the opportunity to create happy memories in a unique environment. In addition to the room that we visited, The Escape Game also offers more advanced rooms, including Prison Break, Gold Rush, and The Heist. The closest doors to enter are next to the Round 1 Bowling Center. You'll turn left and it's a 1 to 2 minute walk down the hallway. Visit The Escape Game's website here. Get the Best Deal on Fresh Meat: Savory Butcher is in Grapevine This Week + Other Texas Cities! If you are familiar with coop fruit and veggie boxes that come straight from farms, Savory Butcher is somewhat similar, but for meats. They work with different ranchers and sell the meat in bulk, bypassing the grocery store and bringing prices down by 30% to 50%. They schedule events in different areas and drive a refrigerated truck full of farm fresh meats for customers to pick up their orders at scheduled locations and times. For instance, the pickup for the next delivery near us is at the Grapevine Baptist Church parking lot. You'll need to place your order in advance and buy in bulk, but the savings are amazing. For instance, the 40-pounds of Fresh Trimmed Boneless Chicken Breasts are only $2.19/pound, so it's an amazing deal. If you have a good size freezer, you may order for your family. If your freezer doesn't have a ton of room, they make it easy for you to split your order because the 40 pounds are divided into four 10-pound bags. Similarly, they split many of the bulk orders into multiple packages so that it's easier for you to split among family and friends. Personally, we ordered chicken breast, 93/7 ground beef, and uncured bacon this week. It was convenient for farm fresh meat. A glimpse into my box is shown below. 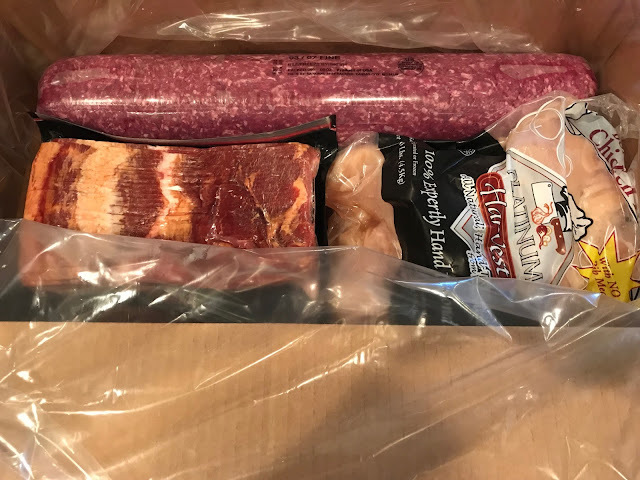 While you are able to freeze the bags that they provide directly in your freezer, I prefer to use freezer bags to separate the meat into portions for family meals. As I mentioned, I have active boys who eat a lot. I am able to save money and time by freezing family size portions of meats in individual freezer bags. It's really convenient and makes it easy to quickly feed my hungry boys. I really like the bulk aspect too because I don't have to pick up meat at the grocery store since my freezer is stocked. 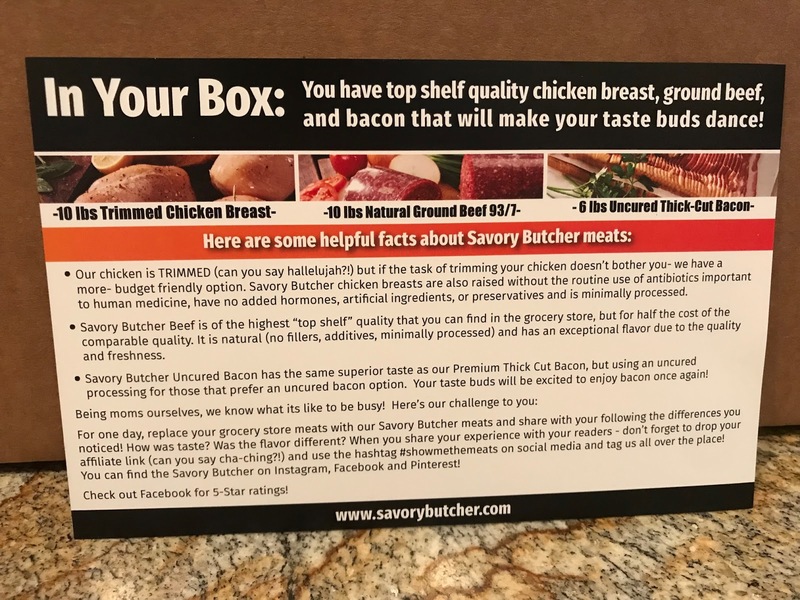 In summary, Savory Butcher makes it easy for us to purchase farm fresh meats in bulk at a relatively inexpensive price point. As a Boy Mom they are amazing because our grocery bill is often quite high, but by shifting our meat purchases to Savory Butcher instead of our local grocery store, I've found nice savings without feeling like I sacrificed quality. It's a win-win for us and for local ranchers! If you want to try Savory Butcher, Trendy Mom readers receive $5 off of their first order here! 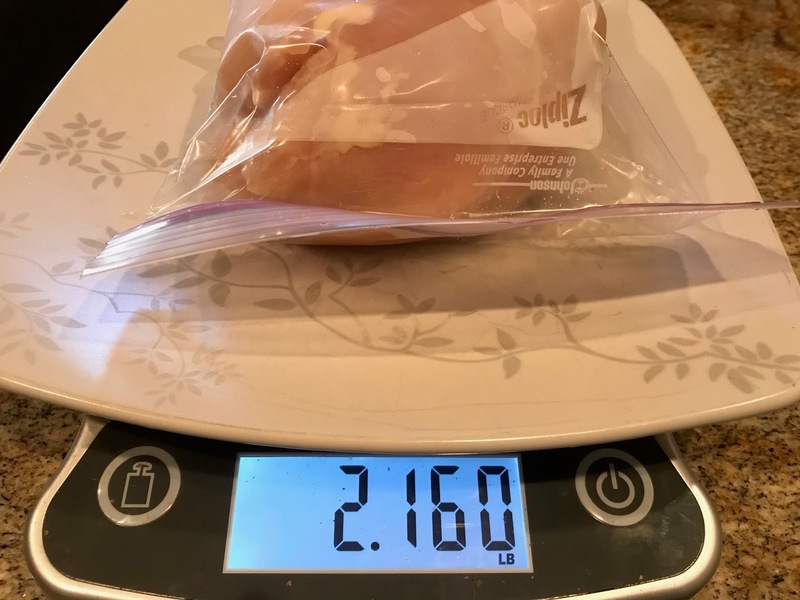 Now that I've told you about Savory Butcher, let me share a recipe that I use on busy weeknights by pulling out one pound of chicken breasts from my Savory Butcher order. 1. Add all of the ingredients above with the exception of the biscuit dough to your slow cooker and cook on low for 4 hours (or until everything is cooked thoroughly). 2. Chop or shred chicken and mix all of the ingredients again. 3. Spray muffin pans with cooking spray so that the dough does not stick. Press biscuit dough into the muffin pans, shaping it so that it is easy to add 2 TBSP of the filling to each. 4. Fill each biscuit with approximately 2 TBSP of filling. (The more that you are able to fit in, the better.) You will have leftover filling in your Crockpot. Save this because you may want to offer the extra to guests that prefer extra filling on the side of their plate. 5. Bake for approximately 15 minutes at 400-degrees. 6. Cool and serve with the extra filling. 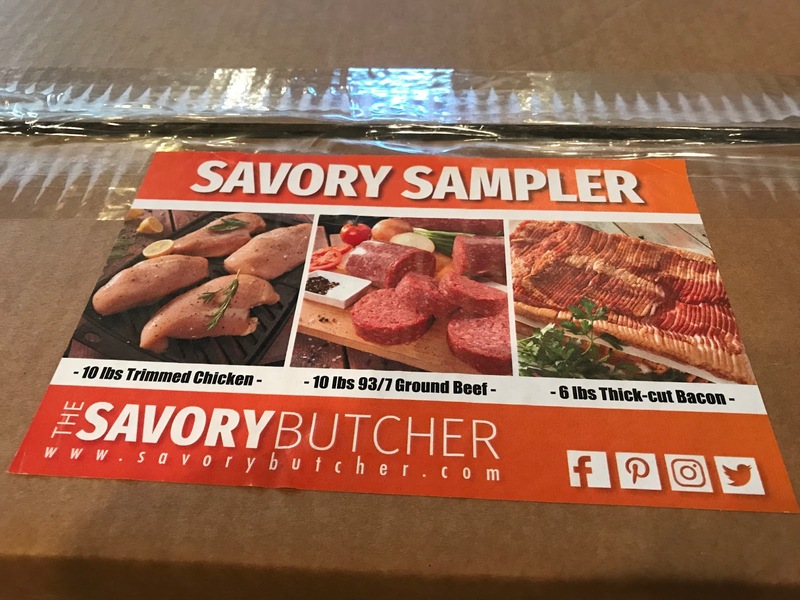 Again, if you want to try Savory Butcher, Trendy Mom readers receive $5 off of their first order here! 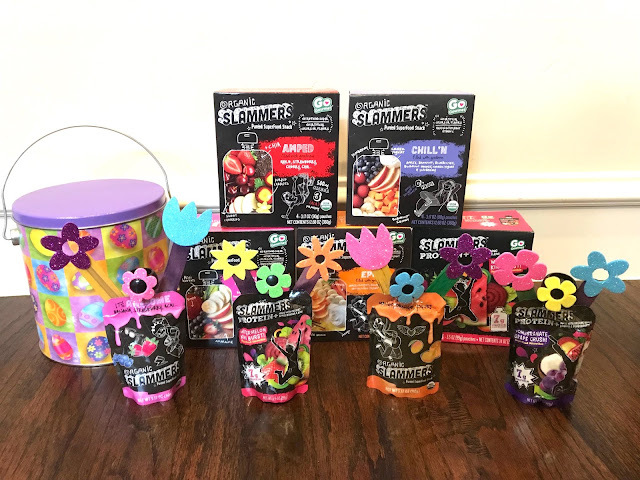 Are you looking for sensory toys for Easter? Well, we found a few that our children love and want to share the ideas. The Giant Bead Ball - This is a squishy ball that is fun to squeeze, throw, catch, and stretch! Crayola Dough Surprise Eggs - These are fun to hide instead of candy. 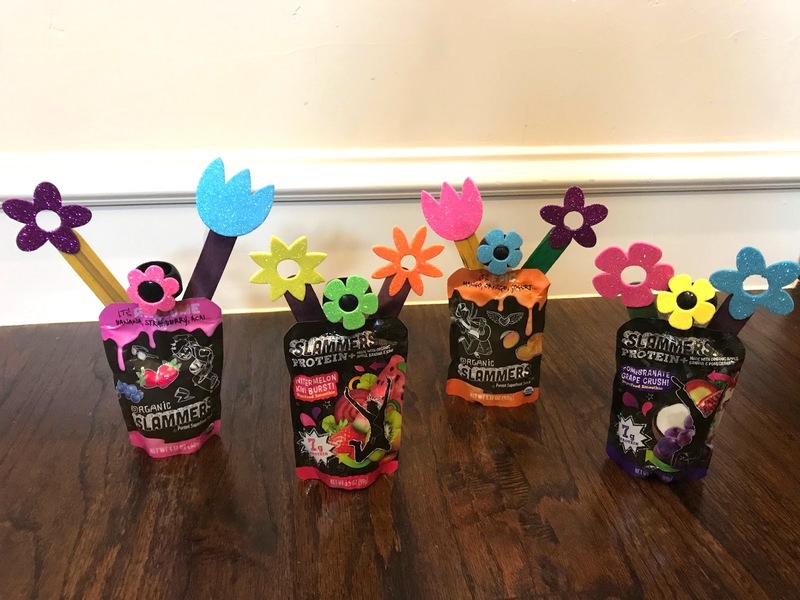 Crayola Dough Party Pack - We were able to fit the individual packs inside of Easter eggs for a class party. Of course, they are great for Easter morning too! 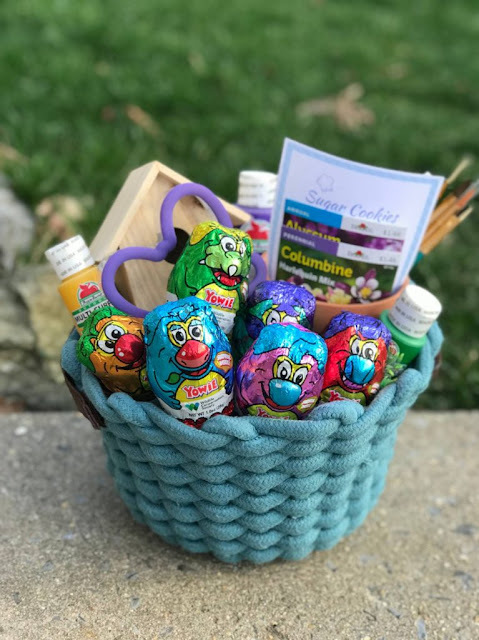 Crayola Dough 5 oz Tubs - These are also bright and colorful to include in Easter baskets, hide like eggs, or include in a class party! We love a good Easter Egg Hunt! Even if your children no longer believe in the Easter Bunny, it is still fun to continue Easter traditions. It can be a lot of fun to organize a challenging Easter Egg for older children! 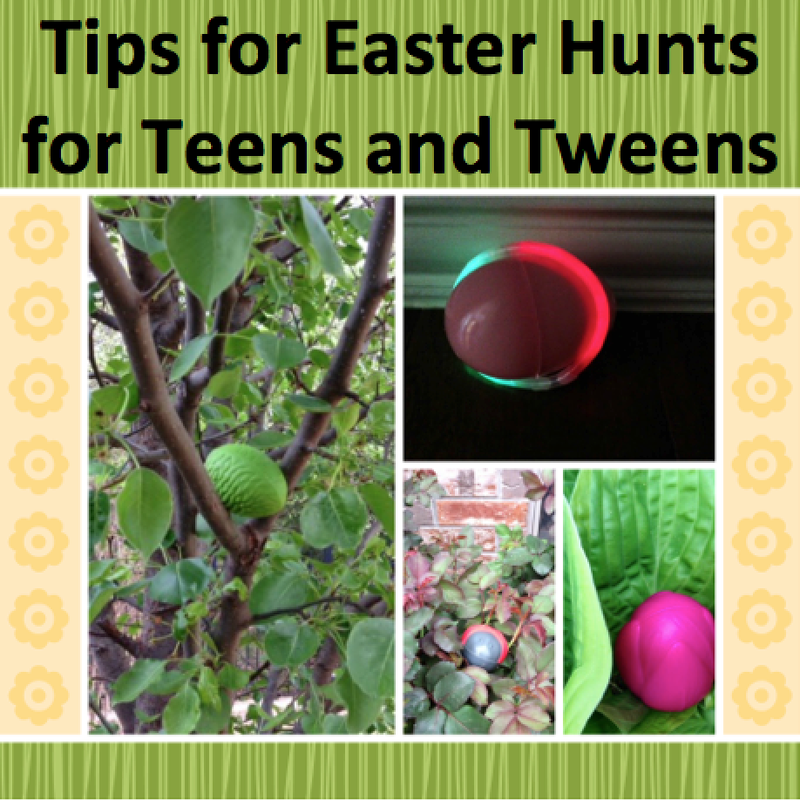 Here are some tips to increase the difficulty of an Easter Egg Hunt for tweens and teens. Wonka makes fantastic plastic Easter Eggs that blend into the terrain. For instance, they include eggs that look like rocks, tulips, and eggs that blend with the grass and trees. 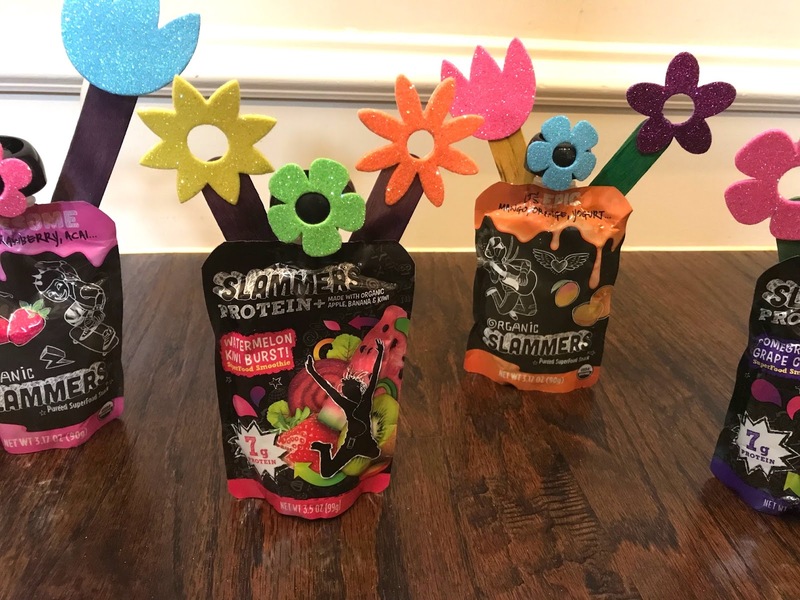 These are perfect for older children that are up for a challenge. For instance, check out the photo below where we hid Wonka Hard-To-Find Easter Eggs that look like rocks in our rose bush. This Wonka Hard-To-Find Lady Bug Egg blends into a bush. Here is another example where we used eggs that blend with grass or trees. Our flowers haven't bloomed yet, so we added Wonka's Hard-To-Find Eggs shaped like tulip in the plants. Another fun idea is to turn the Easter Egg Hunt into one that uses GPS. Give clues that make the eager hunters creatively solve problems in order to find the locations of eggs. The level of difficulty is easy to adjust based on the age of your children. You may even want to get multiple families involved for extra competition! If you have adventurous children that love surprises, move your egg hunt to evening and make it a haunted Egg Hunt! We wrap eggs in glow sticks which is popular and memorable for children. This is a great way to excite children. 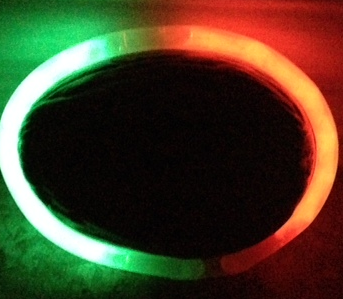 Here is an indoor egg that we wrapped with a glow stick. Here is another for outside. Another option is to make the Egg Hunt a race between children. "Ready, Set, Go!" Let them race to find the most eggs. The winner receives a special prize and bragging rights. 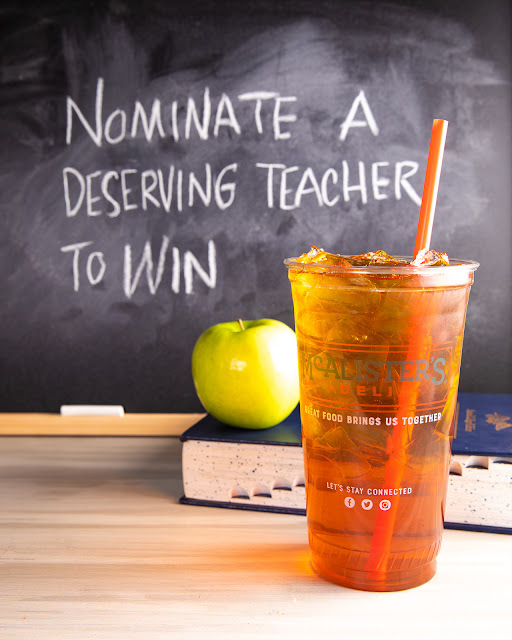 The winner also gets to pick what we eat for breakfast. 5. Make it a Nerf theme. 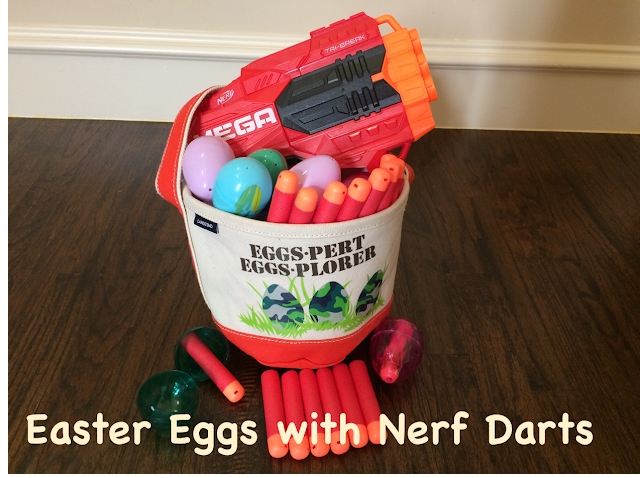 Finally, check our our Nerf themed Easter Egg Hunt here.